High rates of violent crime dealt a blow to Atlantic City’s citizens and businesses in the late 2000s and early 2010s. Hamstrung by a reduced force, the Atlantic City Police Department turned to new solutions to optimize resources for predicting and preventing crime. 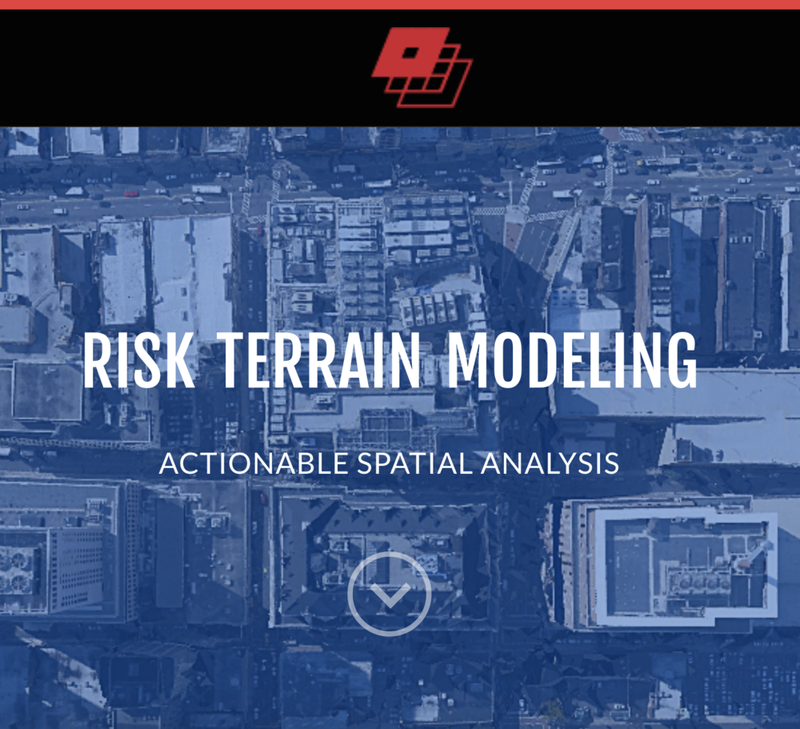 This included risk terrain modeling (RTM), an analytical technique combining crime data and environmental risk factors to identify high-risk areas. This data informed new approaches to their patrolling, community engagement, and other activities, and police saw reductions in homicides and shooting injuries (26 percent) and robberies (37 percent) in the first year alone. Investments in RTM and similar data modeling techniques show how data, beyond simply painting a picture of past events, can inform solutions for the betterment of society. Homicides and shooting injuries in Atlantic City reduced by 26 percent over 2017 compared to 2016. Robberies in Atlantic City reduced by 37 percent over 2017 compared to 2016. Written by Hayden Dahmm (Analyst, SDSN TReNDS) with inputs from and thanks to Atlantic City Deputy Chief of Police James Sarkos and Jay Neuner (Communications Manager, SDSN TReNDS). Atlantic City, New Jersey is a coastal U.S. city of approximately 39,000 people (United States Census Bureau, n.d.). It has historically been a center for tourism and gambling, but new casinos in neighboring Pennsylvania have absorbed significant revenues in the region and, as of 2016, five of the city’s 12 casinos closed since 2014 (Glenza 2016). With Atlantic City facing potential bankruptcy, New Jersey formally took control of the city in November 2016, granting the state authority to manage the city’s finances and contracts (McGeehan 2016). In addition to financial difficulties, Atlantic City is recognized as one of the most dangerous cities in New Jersey (Reuters 2016). A 2015 survey ranked Atlantic City as the eighth most dangerous city in the entire United States, with 9.29 violent crimes per 1,000 residents and 28.45 property crimes per 1,000 residents annually (NeighborhoodScout 2015). Authorities have made efforts to counter urban blight and have cracked down on drug-related gang activity (Reuters 2016). Meanwhile, the Atlantic City Police Department (ACPD) has made community relations a focus of its mission, with stated goals including to build public confidence in the department, to support cultural diversity training, and diverting youths from crime (Atlantic City Police Department 2018). Community outreach activities have included a homework completion club, community walks, and public meetings with complementary coffee (Sarkos 2018). Crime overall fell 9.3 percent in Atlantic City during 2015 (Reuters 2016). Yet a noticeable increase in robberies in 2016 caused concern, and media coverage described shop owners as feeling frustrated that there was not a greater police presence (Serpico 2016). Furthermore, between 2010 and 2017 the police force was cut from 374 to 267 officers due to financial constraints (Melamed 2017). Since the 1990s, a number of police departments have used Geographic Information System (GIS) technology to map out hotspots, the areas in a community where crimes tend to concentrate. In 1994, the New York Police Department launched the now widely-replicated CompStat model, which led to hotspots being flooded with additional officers (Walton 2014). CompStat has been credited with significant crime reductions. But the strategy minimized the role of community engagement, and the associated “zero tolerance” approach was found to disproportionately impact racial minorities in urban areas such as New York City (Walton 2014). The ACPD realized the need for an evidence-based policing strategy, but it wanted a technique that would align with the community outreach program better than CompStat. Deputy Chief James Sarkos, commander of the ACPD’s investigations division, explained that “[…] There was a lot of push for us to go to a CompStat model of policing. […] We saw that there were some negatives associated with that style of policing. […] We had done a lot of effort with community relations, and we felt like we had made great strides in the community, and we didn’t want to go to a policing style that just focused on hot spots and attacking everyone who happened to be in the hot spot” (Sarkos 2018). The Rutgers Center on Public Security at Rutgers University developed an alternative, data-driven policing strategy called risk terrain modeling (RTM) (Caplan, Kennedy, and Drawve 2018). RTM is an analytical approach that helps police departments learn from crime data without targeting individuals or demographic groups. It is founded on the principle that location matters to human behavior, and it asserts that certain environmental factors–such as the presence of parks or certain types of retail–can create natural opportunities for crime. As described by Joel Caplan, the Center’s deputy director, “Past crimes aren’t used to predict future crimes, but past crimes are analyzed to identify the environmental correlates that tend to attract criminal behavior” (Caplan 2018). Police can use RTM results to form targeted interventions that modify environmental conditions and mitigate the risk of crime. Sarkos explained that Atlantic City chose to implement RTM because they “thought it fit in a lot better with [their] philosophy of policing in Atlantic City, and [their] community partnership” (Caplan 2018). RTM maps the location of past crimes along with local environmental factors and then identifies what combinations of factors are associated with increased risk of crimes. The Center on Public Security has published free tutorials on how to perform the calculations (Caplan 2018) and it has made its RTM analysis and mapping software, RTMDx, available for purchase (Rutgers University Center on Public Security, n.d.). The process requires three key inputs: the study area boundary, the list of potential risk factors to test, and the outcome events (Caplan 2018). The model uses Bayesian statistics to consider the spatial influence of a potential risk factor within a threshold. A series of regressions are then calculated to determine the aggregated risk in different locations. The result is a forecast of crime for the upcoming period displayed in map and tabular forms. Crime patterns can be highly dynamic, so models are regularly updated and only consider recent crime data (Caplan 2018). Although crimes tend to cluster, the underlying risk factors can be dynamic and vary by city, so researchers must analyze local data to determine what factors are most relevant. Police departments then need to devise risk-prevention strategies that address relevant factors and disrupt crime patterns. As Caplan explained, “The answer wouldn’t be, say, to stop and frisk passersby, but to do things to make the environment less attractive to crime. That’s how we can reduce crime, and we can do it without arrests” (Melamed 2017). RTM applications in multiple cities have demonstrated the predictive accuracy of the technique (Kennedy, Caplan, and Piza 2015). Previous work funded by the Department of Justice introduced RTM in five other U.S. cities according to a quasi-experimental design (Kennedy, Caplan, and Piza 2015); similar high-risk areas in the same city were compared, but only one area would receive targeted police interventions according to insights from RTM. The results showed a causal linkage between RTM and crime reductions, and the impacts were greatest when authorities responded to the identified spatial factors behind crime. For example, in Colorado Springs, Colorado, the police used RTM to target vehicle theft. The study identified six significant risk factors (calls for service, multifamily housing units, foreclosures, parks, sit-down restaurants, and commercial zoning), and determined that the highest risk settings covered only 4 percent of the city but accounted for 43 percent of thefts. The police responded to these findings with code inspections, license plate recognition technology, and other targeted interventions in high-risk locations. Vehicle thefts fell by 33 percent in target areas relative to control areas. Within the United States, RTM has been applied from Glendale, Arizona to Newark, New Jersey, and the technique has now been used in 45 countries (Rutgers University Center on Public Security, n.d.). Researchers have expanded RTM beyond its initial conception of addressing criminal behavior to consider issues ranging from epidemiology to maritime shipping (Rutgers University Center on Public Security, n.d.). ACPD Chief of Police Henry White, Jr. and command staff have led the implementation of risk-based strategies in Atlantic City. The department learned about RTM through a criminal justice board meeting and then contacted Caplan directly (Sarkos 2018). A researcher-practitioner collaboration was officially launched on October 15, 2015 between the ACPD and the Rutgers Center on Public Security, along with the Atlantic County Prosecutor’s Office and other local government agencies (Caplan, Kennedy, and Drawve 2018). During a pilot project that began on January 1, 2016, Rutgers researchers collected necessary data and tested the validity of predictive models (Caplan, Kennedy, and Drawve 2018). The police department prioritized homicides, shootings, and robberies, and separate models were defined for each type of crime. Administrative data from the ACPD and other city offices were used as model inputs. Statistics from the Federal Bureau of Investigation’s Uniform Crime Report may double count crimes, so researchers rigorously reviewed police records to confirm that incidences were appropriately categorized (Caplan 2018). Testing determined that analyzing crime data from the two most recent months gave statistically significant predictions (Caplan 2018). The software can then produce maps that highlight the key areas of risk. The ACPD also worked during the pilot phase to strengthen procedures for data management and access (Caplan, Kennedy, and Drawve 2018). Researchers provided in-house training on RTM, GIS technology, and data management. The police also began to develop new strategies informed by data, though these strategies were not implemented during the pilot phase (Caplan, Kennedy, and Drawve 2018). Full implementation of risk-based policing started on January 1, 2017 (Caplan, Kennedy, and Drawve 2018). Every month, the list of environmental factors was updated and revised models forecasted high-risk areas of the city based on crimes from the past two months (Caplan 2018). These forecasts informed priorities for police interventions for the upcoming month. From January to May 2017, the Rutgers Center on Public Security worked closely with Police Department commanders, providing ongoing assistance in running models and communicating results (Caplan, Kennedy, and Drawve 2018). In June 2017, the ACPD assumed responsibility for maintaining models and developing prevention strategies. Police officers were advised not only on what risk features to address, but also how best to respond to those risks. These strategies are updated according to new model results. The entire city has continued to receive police support, but areas that present the greatest risk are prioritized. The police hold monthly community action meetings, inviting select community members to discuss the validity of riskbased models and responses (Caplan, Kennedy, and Drawve 2018). Other Atlantic City departments have also collaborated with the ACPD to address risk factors. The data intervention did not occur in isolation. While Atlantic City was implementing RTM, the Police Department initiated additional strategies for combatting crime. In 2017, the ACPD launched the Atlantic City Headquarters for Intelligence Logistics Electronic Surveillance (ACHILES) (Atlantic City Police Department 2018). A surveillance team at ACHILES monitors security camera feeds from around the city (Sarkos 2018). As part of the project Protecting Atlantic City Together (PACT), businesses in the area have granted police remote access to 971 security cameras. Through this access, the surveillance team can conduct virtual patrols, support responding officers, and view historical footage. Additionally, the platform Mutual Link allows the police to immediately connect with security systems in casinos, schools, and hospitals (Atlantic City Police Department 2018). The 2016 pilot program involved a startup cost of $73,000 that covered initial research on Atlantic City crime, including funding for a postdoctoral fellow (Caplan 2018). These costs were paid for by forfeiture funds, which are collected from criminal assets (Atlantic Country Prosecutor’s O 2015). There is also an ongoing subscription fee for RTMDx of $4,990 per year (Caplan 2018). An ACPD detective updates models and analyzes results but the associated expense is limited as these tasks only take a few hours each month (Sarkos 2018). RTM identified a number of environmental factors that increase the risk of crime in Atlantic City (Caplan, Kennedy, and Drawve 2018). Analysis of recent crime data highlighted the risk of both shooting and robbery crimes in proximity to convenience stores, laundromats, vacant properties, and schools. Additionally, the density of residences of parolees is associated with increased risk of shootings, while the risk of robbery increases with proximity to amenities such as restaurants, hotels, and retail clothing. The predictive ability of RTM in Atlantic City was tested using a predictive accuracy index, which compares the risk score for an area with the observed crime count, and model accuracy exceeded expectations (Caplan, Kennedy, and Drawve 2018). Consistently, the 1 percent of the study area that was identified as high risk would account for over 30 percent–sometimes over 50 percent– of the un-prevented crimes in the subsequent month (Caplan 2018). The model has also predicted the displacement of crimes. There have been instances where crimes have increased in areas where crime had not historically occurred, but that were identified as high-risk areas by RTM (Caplan 2018). For example, parking lots have recently emerged as a priority in RTM, so the police have given them added emphasis in their regular patrols (Sarkos 2018). The concentration of crimes may shift a couple blocks from month to month, but the police are more aware of emerging crime patterns and can anticipate the response to interventions (Caplan, Kennedy, and Drawve 2018). — Atlantic City Chief of Police Henry White, Jr. Working with community members, the ACPD forms risk narratives that explain why crimes are associated with particular locations (Caplan, Kennedy, and Drawve 2018). For example, one narrative posits that drug deals were solicited at convenience stores, transactions then took place at unsupervised laundromats, and drug supplies were kept at vacant properties (Melamed 2017). These activities could then increase the risk for violent crime. At the same time, RTM helped refute the assumption that crimes are associated with housing projects (Melamed 2017). The ACPD has worked to disrupt risk narratives and limit opportunities for crime (Caplan 2018). Patrol routes were revised, and the police conducted over 1,000 checks at businesses in high-risk areas in 2017 (Caplan, Kennedy, and Drawve 2018). Updated business check procedures required officers to get out of their vehicles, sign a log book, interact with store owners and customers, and establish an active police presence (Atlantic City Police Department 2018). Other city departments also worked to address risk factors by installing brighter street lights and modifying or demolishing 17 abandoned buildings in high-risk areas (Caplan, Kennedy, and Drawve 2018). The combined measure of homicides and shooting injuries fell 26 percent from 39 in 2016 to 29 in 2017, excluding June (Caplan, Kennedy and Drawve, 2017). Robberies fell 37 percent from 231 in 2016 to 145 in 2017, excluding June and July. Combining homicides, shooting injuries, and robberies, the prioritized violent crimes declined 36 percent between 2016 and 2017, excluding June and July. According to Caplan, an upcoming journal publication highlights significant month-by-month reductions in crime following the introduction of RTM (Caplan 2018). These reductions also correlate with the intensity of the intervention, as measured by police presence in high-risk areas (Caplan 2018). Atlantic City observed a 10 percent improvement in its case clearance rate–the proportion of crime cases solved–in 2017 compared to 2016 (Caplan, Kennedy, and Drawve 2018). Due to the overall reduction in crimes, total arrests did not increase. As a result of the reduction in violent crimes, the researchers estimated an annual cost savings to the local criminal justice system of $1.6 million. According to Sarkos, RTM has enabled the department’s reduced number of officers to be placed where they will be most effective (Sarkos 2018). While the Rutgers Center on Public Security did not provide verification and analysis, available data from the Uniform Crime Report shows a continued decline in crime in the early part of 2018 (Caplan 2018). According to this data, there were 62 robberies and five homicides as of mid-year 2018, compared to 100 robberies and nine homicides over the same period in 2017 (Atlantic City Police Department 2018). The use of crime data and RTM have been part of a wider policing strategy. As Caplan explained, “Risk terrain modeling itself did not reduce crime. The police did. […] This was an agency that tried to make it work and tried to bring multiple technologies and multiple policing practices together holistically that were going to be efficient and effective” (Caplan 2018). The surveillance system at ACHILES has been important in its own right, with security cameras aiding 138 arrests in 2017 (Atlantic City Police Department 2018), but the technology has also been integrated with the RTM strategy. The ACPD prioritized access to cameras in high-risk locations, and the surveillance team dedicates downtime to monitoring areas identified as problematic by RTM (Sarkos 2018). Sarkos said, “It’s all part of a large picture. Each one has a lot of merit and has contributed to this. I think they all work in conjunction” (Sarkos 2018). Police Chief White’s perspective on how the risk-based approach improved Atlantic City policing: “We’ve had certain neighborhoods in town that have been hot spots since I was on patrol. We made a ton of arrests. But, you know what? They were still hot spots until recently. […] Before, we would clean up an area temporarily but all we were doing was displacing crime. […] We’re getting there before the crime does to make sure that now it is not the next hot spot. We’re no longer playing Whack-a-mole” (Melamed 2017). Sammy Nammour, the manager of an Atlantic City store that has witnessed multiple robberies and a murder, has testified to the effectiveness of the risk-based intervention. He told reporters that “Whatever they’re doing, it’s working. They’ve been coming around. You can see more police presence” (Serpico 2018). The ACPD received technical and analytical support from the Rutgers Center on Public Security but, according to Sarkos, “The biggest challenge at the beginning was gathering all the data together” (Sarkos 2018). A list of all mercantile licenses was obtained from the city, but the available information did not indicate establishment type. Consequently, police officers had to manually categorize approximately 1,000 businesses to have sufficient data for the RTM analysis. As mentioned, ACPD’s previous digital storage system also encountered technical issues, “crashing” and erasing some crime data (Caplan 2018). This issue and subsequent loss of data underscored the need for more advanced data management. The program has faced issues in gaining support among officers and enabling trust within the community. During the first year of implementation, Chief White explained: “The biggest challenge we’re having here is getting the rank-and-file to buy in. We’re trained to focus on the bad guys, and it’s hard for them to make that shift” (Melamed 2017). In 2018 Sarkos reflected, “Buy-in from the officers was a little challenging at the beginning. I think when we first implemented it, we didn’t do the best job of explaining exactly what it was to the officers, so we had to go back and explain to them. […] Once that was done, it was more well received” (Sarkos 2018). There is also ongoing concern in the community about crime and police relations. Kellie Cors-Atherly, who runs a memorializing and activist group against gun violence called Peace Amongst Youth, told reporters, “We’re having active shootings in Atlantic City once a week. That doesn’t seem to be changing so much. And it’s still a division between the police and the community. There’s still a big trust factor.” (Melamed 2017) Similarly, a 2016 joint statement from 16 civil rights, racial justice, privacy, and technology organizations in the United States expressed concern about the impact of predictive policing (The Leadership Conference on Civil and Human Rights et al. 2016). The statement claimed that predictive methods may appear impartial but can strengthen biases inherent to police data, and that many predictive programs ignore community needs. The Rutgers team believes their approach of focusing on location mitigates these concerns (Melamed 2017). The ACPD has worked to create transparency around RTM by regularly consulting community members and incorporating their understandings of criminal activity into risk strategies. Sarkos explained that the monthly community meetings have been integral to the RTM program. Community members are helpful in identifying why particular locations may be susceptible to crime, and keeping the community informed has created a positive reception and reduced suspicions about predictive analytics (Sarkos 2018). The use of RTM in Atlantic City is associated with notable reductions in crime. Models have analyzed data to identify local factors that contribute to the risk of crime, and these insights have led to new policing strategies. Moreover, the approach is effective without profiling person-specific characteristics or increasing total arrests. The potential implications of predictive strategies deserve scrutiny and additional efforts may be needed to ensure community trust, but initial results from Atlantic City suggest the thoughtful application of data can save lives, property, and public resources. When asked if he would recommend RTM to other police departments, Deputy Chief Sarkos replied, “I would, most definitely” (Sarkos 2018). Atlantic City Police Department. 2018. “2017 End of Year Report.” https://cdn.citizenobserver.com/uploads/attachment/file/86313/2017_End_of_Year_Report.pdf. Atlantic Country Prosecutor’s Office. 2015. “News Release.” Mays Landing. Caplan, Joel, Leslie Kennedy, and Grant Drawve. 2018. “Risk-Based Policing in Atlantic City: 2017 Report.” http://www.rutgerscps.org/publications.html. Glenza, Jessica. 2016. “New Jersey Formally Takes over Atlantic City after Decade of Economic Hardship.” The Guardian, November 10, 2016. https://www.theguardian.com/us-news/2016/nov/10/new-jersey-atlantic-city-state-takeover-casinos. Kennedy, Leslie, Joel Caplan, and Eric Piza. 2015. “Results In Brief: A Multi-Jurisdictional Test of Risk Terrain Modeling and a Place-Based Evaluation of Environmental Risk-Based Patrol Deployment Strategies,” 1–5. http://www.rutgerscps.org/uploads/2/7/3/7/27370595/nij6city_results_inbrief_final.pdf. McGeehan, Patrick. 2016. “New Jersey Moves to Take Control of Atlantic City.” The New York Times, November 10, 2016. https://www.nytimes.com/2016/11/10/nyregion/new-jersey-moves-to-take-control-of-atlantic-city.html. Melamed, Samantha. 2017. “Can Atlantic City’s Bold Experiment Take Racial Bias out of Predictive Policing?” The Philadelphia Inquirer, August 10, 2017. NeighborhoodScout. 2015. “Top 100 Most Dangerous Cities in the U.S.” 2015. Reuters. 2016. “Why Atlantic City Is Teetering on the Edge of Disaster,” January 27, 2016. https://www.newsweek.com/atlantic-city-donald-trump-gambling-heroin-chris-christie-new-jersey-money-420340. Rutgers University Center on Public Security. n.d. “Software.” http://www.rutgerscps.org/software.html. Serpico, Erin. 2016. “With Atlantic City Store Robberies on the Rise, Owners and Employees on Edge.” Press of Atlantic City, December 28, 2016. https://www.pressofatlanticcity.com/news/with-atlantic-city-store-robberies-on-the-rise-owners-and/article_42da9513-3d1b-59a8-b7d0-83462fef60de.html. Serpico, Erin. 2018. “Atlantic City’s Violent Crime Decreases with Risk-Based Policing Initiative.” Press of Atlantic City, April 9, 2018. https://www.pressofatlanticcity.com/news/crime/police/atlantic-city-s-violent-crime-decreases-with-risk-based-policing/article_2ff881b0-46c6-59c8-afa8-4534ca34751b.html. The Leadership Conference on Civil and Human Rights, 18 Million Rising, American Civil Liberties Union, Brennan Center for Justice, Center for Democracy & Technology, Center for Media Justice, Color of Change, et al. 2016. “Predictive Policing Today: A Shared Statement of Civil Rights Concerns.” August 31, 2016. https://www.aclu.org/other/statement-concern-about-predictive-policing-aclu-and-16-civil-rights-privacy-racial-justice. Walton, Shamik. 2014. “Zero Tolerance Policing: An Evaluation of The NYPD’s Use of Stop and Frisk.” Northeastern University.